Earth’s Mightiest Heroes by one of comics’ biggest names! John Byrne transforms the West Coast Avengers as the dismantling of the Vision sets the android’s bewitching wife, Wanda Maximoff, down a path that is far darker than scarlet! On the East Coast, Byrne steers the Avengers through attack by the Lava Men and into the Negative Zone in search of the Eternals! Then along comes a spider as a friendly neighborhood wall-crawler joins the Assemblers on a journey to the stars! But what is Immortus’s ultimate plan? 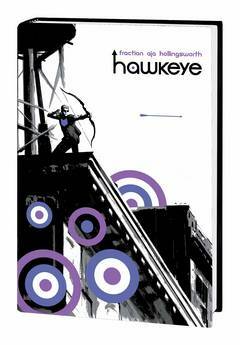 From the Evolutionary War to Acts of Vengeance and more, it’s an eventful volume filled with epic tales written and/or drawn by Byrne! Collecting WEST COAST AVENGERS (1985) #42-46, AVENGERS WEST COAST #47-62 and ANNUAL #4, AVENGERS (1963) #305-318 and ANNUAL #18, and material from AVENGERS SPOTLIGHT #23 and WHAT THE–?! #6. While the world believes that Steve Rogers is dead, Captain America lives on! 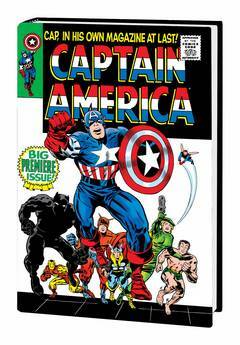 In this Omnibus collection of Marvel classics by Stan Lee, Gene Colan and John Romita Sr., Cap embarks upon some of his all-time greatest adventures! A body-swapping encounter with the Red Skull and his Cosmic Cube leads to the first appearance of the Falcon; M.O.D.O.K. returns with a vengeance – and a secret weapon; Cap sets out on a road trip to explore his and his country’s souls; Bucky Barnes returns; Nick Fury and S.H.I.E.L.D. enlist Cap in their battle against Hydra; Spider-Man and the Hulk face off against the star-spangled Avenger; and so much more! Every amazing story, every classic cover, every letters page is painstakingly restored and presented in this must-have oversized extravaganza! Collecting CAPTAIN AMERICA (1968) #114-148. 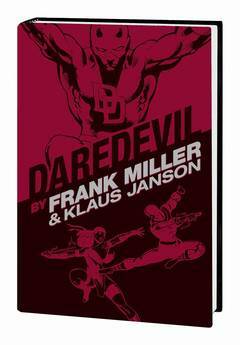 The Man Without Fear is born and reborn in this second collection of Frank Miller’s finest, paired with the industry’s top artistic talent! When the drug-addled Karen Page trades away DD’s secret identity for a fix, Matt must find the strength to survive as the vengeful Kingpin takes him down as low a human can get! But will the Kingpin’s one weakness – his all-too-human heart – undo the criminal empire he has built for himself? Plus, look back on Matt Murdock’s formative years as a young boy grows into a Man Without Fear, and experience Miller’s very first work on two Marvel icons as Daredevil teams up with Spider-Man! Collecting PETER PARKER, THE SPECTACULAR SPIDER-MAN #27-28, DAREDEVIL (1964) #219 and #226-233, DAREDEVIL: THE MAN WITHOUT FEAR #1-5, and MARVEL GRAPHIC NOVEL: DAREDEVIL – LOVE AND WAR. 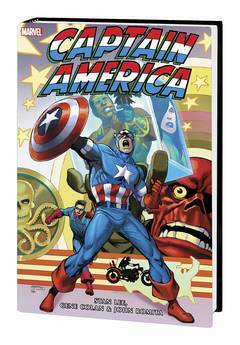 A classic Marvel hero redefined by one of comics’ greatest visionaries! Frank Miller’s spellbinding scripts and pulse-pounding pencils mark one of Daredevil’s greatest eras – but will the Kingpin and Bullseye’s efforts rob the Man Without Fear of everything he holds dear? Featuring the first appearances of Elektra, Stick and the Hand! The daring discovery that drew Ben Urich into Daredevil’s domain of darkness! And such forgotten-yet-formidable foes as Death-Stalker and the Gladiator! Traditional super-heroics mix effortlessly with mysterious martial artistry, doomed romance and dark personal drama. Take a rare look at the formative years of a brilliant comic-book creator and the series that made him famous. Guest-starring the Hulk, the Avengers, and Power Man and Iron Fist! Collecting DAREDEVIL (1964) #158-161 and #163-191, and material from WHAT IF? (1977) #28. It’s a heaping helping of the Merc with a Mouth, chock-full of the craziness that helped form a cult following! 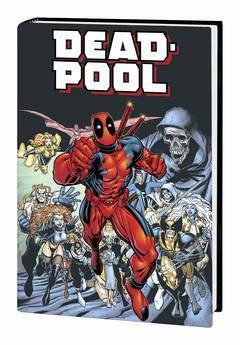 Deadpool crosses Loki, joins the Frightful Four, rubs shoulders with Black Panther, and goes into space – but who’ll throttle him first: his new roommates, his crazy ex Copycat, or his new sidekick Pool Boy? Deadpool takes on the mob, battles the Punisher, rejoins Weapon X, faces his nemesis T-Ray…and dies – twice! And as if four pretenders ushering in a Reign of the Deadpools isn’t enough, who the heck is Agent X and what’s his title-stealing deal? Is he Deadpool or ain’t he? Taskmaster and Outlaw join the fun…and so should you! Guest-starring Thor, Siryn and Fight-Man! Collecting DEADPOOL (1997) #34-69, BLACK PANTHER (1998) #23, AGENT X #1-15, FIGHT-MAN #1 and material from X-MEN UNLIMITED (1993) #28. 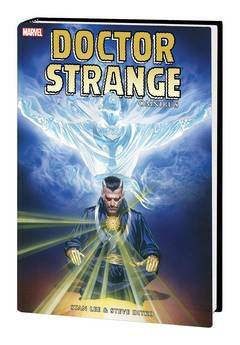 Vain, greedy and prideful, Dr. Stephen Strange was a world-renowned surgeon until a car accident crippled his hands. Broken and destitute, he journeyed to Tibet in search of a legendary healer. He found not a man of medicine, but the venerable Ancient One – and the path to the mystic arts! From Doctor Strange’s eerie house on a Greenwich Village corner, Stan Lee and Steve Ditko unleashed new dimensions and otherworldly terrors – stories that remain as influential today as they were on 1960s counter-culture. 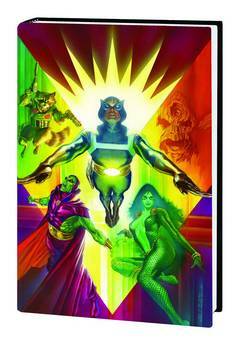 Now, Marvel is proud to offer this Omnibus collection of the complete Lee/Ditko Doctor Strange run! 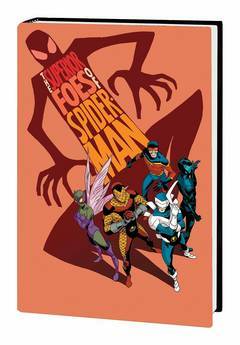 In one beautifully restored hardcover volume, experience the iconic first appearances of Baron Mordo, Eternity, Dormammu and the Mindless Ones, as well as Wong and the lovely Clea! Collecting material from STRANGE TALES (1951) #110-111 and #114-146, and AMAZING SPIDER-MAN ANNUAL #2. Elektra is a ninja, a martial arts master, and a highly paid assassin. Once Matt Murdock’s college girlfriend, her service as the Kingpin’s personal bodyguard put her in brutal conflict with her former lover, nearly killing Daredevil in the process. 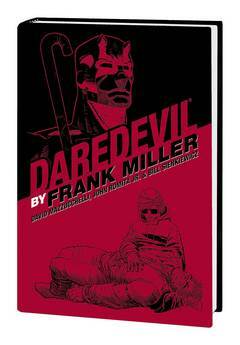 Now, fan-favorite creator Frank Miller ushers his awesome assassin through good, evil, life, death, rebirth and more, in this definitive collection of the character’s most memorable solo adventures. First, following a fatal duel with Bullseye, Elektra is seemingly dead and buried. But her spirit cannot rest. Elektra claws her way back from beyond the grave, in perhaps her defining story! Then, in a tautly crafted tale of espionage and deception, Elektra must unravel a supernatural conspiracy that threatens the Presidency! 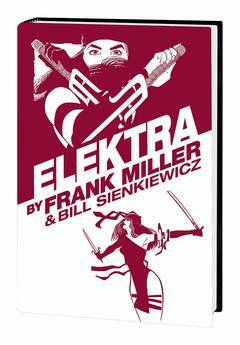 Collecting ELEKTRA: ASSASSIN #1-8, ELEKTRA LIVES AGAIN, and material from BIZARRE ADVENTURES #28 and WHAT IF? (1977) #35. All that stands in the way of universal disaster is an unlikely band of cosmic misfits: the Guardians of the Galaxy, retooled for the 21st century! 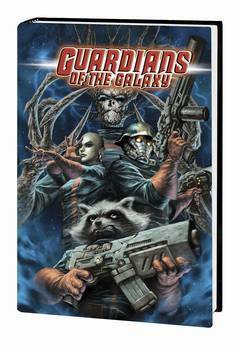 Star-Lord, Gamora, Drax the Destroyer, Rocket Raccoon, Groot, Adam Warlock, Mantis and the all-new Quasar — together with Cosmo the telepathic space dog — take on the universe’s most dangerous menaces and have a little fun along the way! 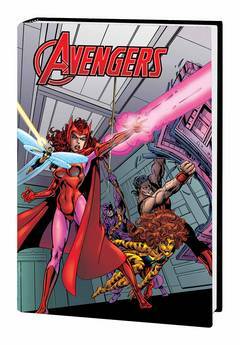 The ragtag team must contend with Guardians from the future, a Skrull Secret Invasion and the Church of Universal Truth before the celestial stakes get even higher when an Inhuman/Shi’ar War opens up a Fault in space that may destroy everything! And the return of Thanos could spell doom for the Guardians! Plus: The solo adventures of breakout stars Rocket and Groot! Collecting GUARDIANS OF THE GALAXY (2008) #1-25; THANOS IMPERATIVE: IGNITION #1, #1-6 and DEVASTATION #1; and material from ANNIHILATORS #1-4 and ANNIHILATORS: EARTHFALL #1-4. They’re the galaxy’s greatest heroes – but who were they before they met? Find out in this complete collection of their earliest appearances! Drax’s sole mission is to destroy Thanos. But when Thanos launches an all-out war with Gamora as his uneasy ally, can Drax succeed even with the Avengers’ help? Plus: Witness the space-faring adventures of the legendary Star-Lord and Rocket Raccoon’s quest in the Keystone Quadrant! And gasp as Groot tries to…conquer Earth?! Collecting INCREDIBLE HULK (1968) #271 and ANNUAL #5; IRON MAN (1968) #55; CAPTAIN MARVEL (1968) #27-33, #43-44 and #58-62; STRANGE TALES (1951) #180-181; WARLOCK (1972) #9-11 and #15; AVENGERS (1963) #219-220 and ANNUAL #7; MARVEL TWO-IN-ONE ANNUAL #2; MARVEL PREVIEW #11; MARVEL SPOTLIGHT (1979) #1-2 and #6-7; MARVEL PREMIERE #61; ROCKET RACCOON (1985) #1-4; and STAR-LORD SPECIAL EDITION – plus material from TALES TO ASTONISH (1959) #13; LOGAN’S RUN #6; MARVEL PREVIEW #4, #7, #14-15. He’s one of the most successful comic creators in history, known for epic stints on FANTASTIC FOUR, UNCANNY X-MEN, ALPHA FLIGHT and more! 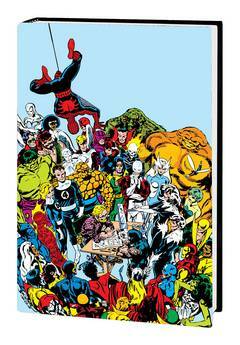 Now, savor John Byrne’s wider influence on the Marvel Universe in this collection of shorter – but no less classic – runs on top-tier characters! Enjoy Byrne’s definitive takes on icons like Captain America, the Hulk, the Avengers, Wolverine and the Silver Surfer, as well as Black Widow and her fellow Champions! Plus: Watch as Byrne helps build the legend of Star-Lord, unite Luke Cage and Iron Fist, and introduce an astonishing new Ant-Man! Collecting CHAMPIONS #11-15, MARVEL PREVIEW #11, AVENGERS (1963) #164-166 and #181-191, POWER MAN #48-50, MARVEL PREMIERE #47-48, CAPTAIN AMERICA (1968) #247-255, SILVER SURFER (1982) #1, INCREDIBLE HULK (1968) #314-319, WOLVERINE (1988) #17-23, and material from MARVEL FANFARE (1982) #29. Todd McFarlane became a superstar illustrating AMAZING SPIDER-MAN, but he changed the industry forever with his next project: the “adjectiveless” SPIDER-MAN! 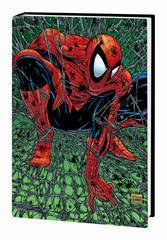 Taking on both writing and art duties, McFarlane ushered Peter Parker into a gritty new era – and it began with “Torment”! When the Big Apple’s streets run red with blood, the web-slinger heads into the sewers to stop the Lizard’s homicidal rampage. But what is driving his old friend and foe? Plus: Ghost Rider lends a bony hand when the deranged Hobgoblin returns, the wall-crawler finds himself at the center of a clash of claws between Wolverine and Wendigo, and Pete goes back in black to face Morbius the Living Vampire! And in the ultimate nineties team-up, Spidey joins X-Force to battle the unstoppable Juggernaut! Collecting SPIDER-MAN (1990) #1-14 and #16, and X-FORCE (1991) #4. When a young writer named Chris Claremont took over X-MEN in 1976, few fans could predict the incredible impact he would have on the Marvel Comics series. With a flair for realistic dialogue, heartfelt storylines and hard-hitting action, Claremont’s writing breathed life into the characters. In collaboration with artists Dave Cockrum and John Byrne, Claremont crafted a run still heralded as a definitive era on the book. X-MEN became more than just another super-hero title: This diverse cast of mutants fighting against prejudice and intolerance has resonated in the hearts of millions of devoted readers. 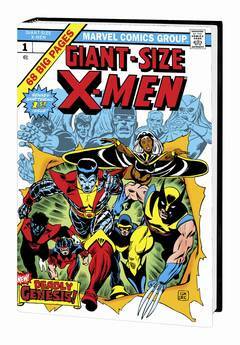 Now, the first five years of their landmark run on Uncanny X-Men are collected in one oversized volume. This keepsake edition also includes all original letters pages and other uncanny extras! Collecting X-MEN #94-131 and ANNUAL #3, and GIANT-SIZE X-MEN #1. He’s Jack Russell by day, but he’s the Werewolf By Night! On his 18th birthday, Jack discovers that he has inherited his father’s curse – and that’s when things really get hairy! Can he save his sister from sharing his fate? Discover how Jack became one of Marvel’s supernatural stars of the seventies in these classic adventures, serving up everything from witches to aliens to Dracula himself! But which horrifying heroes will join Jack in the Legion of Monsters? Whether he’s teaming up with Spider-Man, eclipsing Moon Knight, or fighting like cats and dogs with Tigra, Jack is one lycanthrope you’re guaranteed to like! 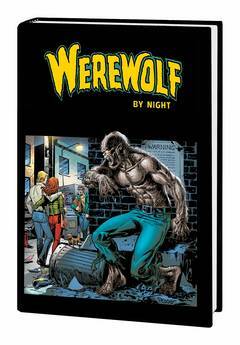 Collecting MARVEL SPOTLIGHT (1971) #2-4, WEREWOLF BY NIGHT (1972) #1-43, MARVEL TEAM-UP (1972) #12, TOMB OF DRACULA (1972) #18, GIANT-SIZE CREATURES #1, GIANT-SIZE WEREWOLF #2-5, MARVEL PREMIERE #28 and material from MONSTERS UNLEASHED #6-7. Charles Xavier is dead – killed in the past during a time-travel accident – and without his dream, the world has become a nightmare! 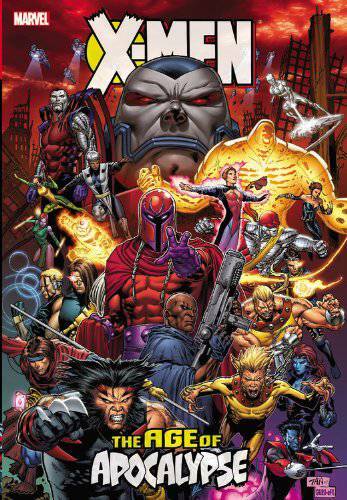 Apocalypse rules with an iron fist, ruthlessly enforcing his “survival of the fittest” creed – but hidden among a downtrodden humankind are Magneto’s ragtag freedom fighters: the X-Men! When Bishop, last survivor of the true Marvel Universe, explains how the world went wrong, these embittered mutants must risk everything – and undertake a dangerous and complex quest – to put things right! Collecting UNCANNY X-MEN (1981) #320-321, X-MEN (1991) #40-41, CABLE (1993) #20, X-MEN ALPHA, AMAZING X-MEN (1995) #1-4, ASTONISHING X-MEN (1995) #1-4, FACTOR X #1-4, GAMBIT AND THE X-TERNALS #1-4, GENERATION NEXT #1-4, WEAPON X (1995) #1-4, X-CALIBRE #1-4, X-MAN #1-4, X-MEN OMEGA, AGE OF APOCALYPSE: THE CHOSEN and X-MEN ASHCAN #2.